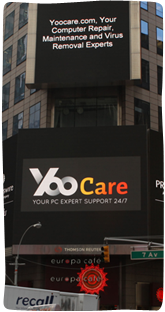 Welcome to YooCare PC Guides. Our editors and member writers will publish FREE how-to PC guides regularly to guide you on how to fix computer problems and remove malware from your computer. Please stay tuned for more updates as we are planning to release our new website in the weeks to come. Thanks.